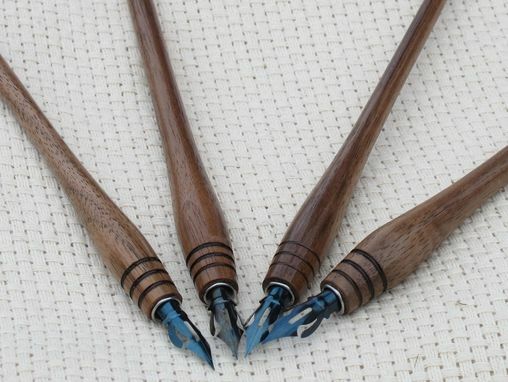 This listing is for one Dip Pen. I originally designed these for Central Oregon's High Desert Museum to use in the Old School House exhibit. 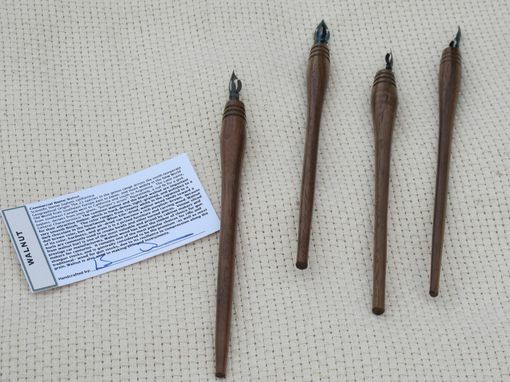 These beautiful traditional writing instruments measure approximately 6 inches long and are turned to fit ergonomically into your hand for the most comfortable writing experience. They are available in any wood variety. 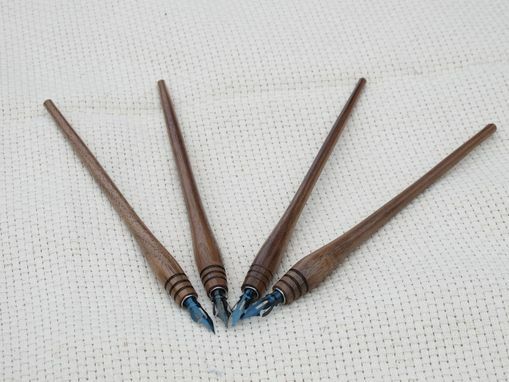 Nibs are replaceable and come with a Hiro #40 "Blue Pumpkin". 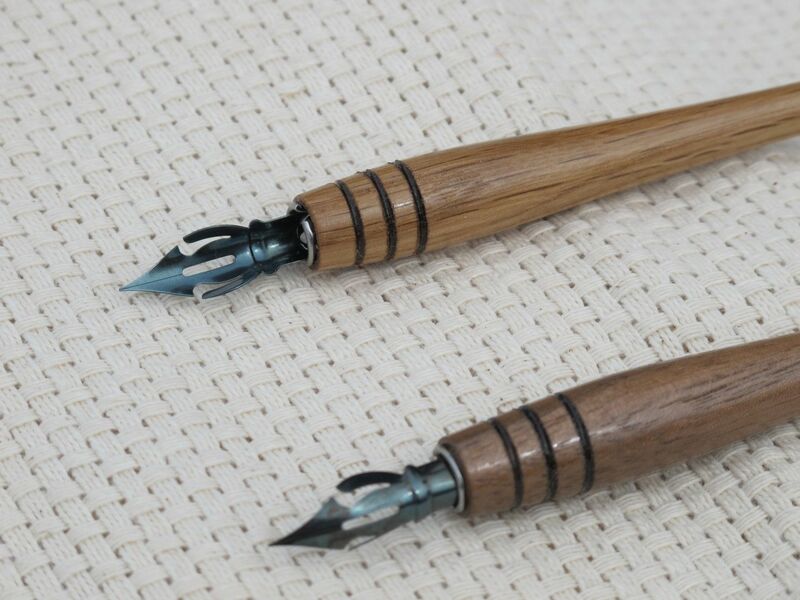 These are unique and fun to use in drawing, cartooning, or simply for a novelty writing experience. Ink not included. All pieces come with an Identity Card that details the wood type, Latin name, wood characteristics, and is personally signed by the woodworker. It's nice and well made.